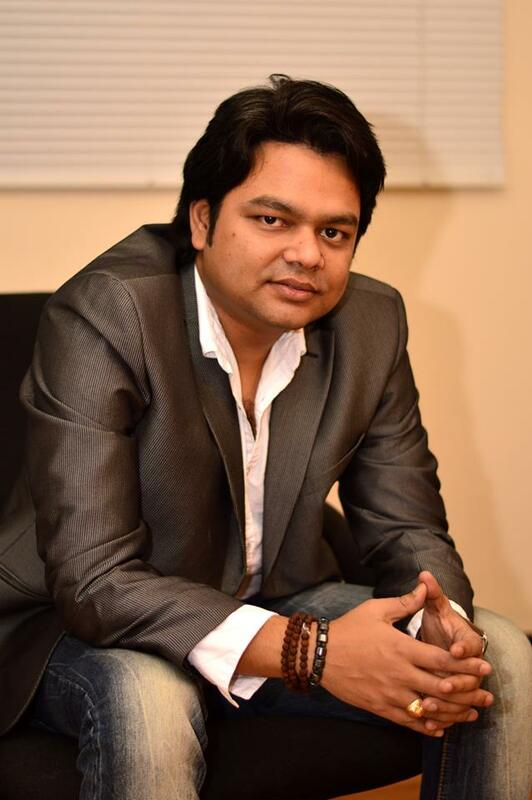 He made sensational debut with his book called 'As Life Has No Undo'. He got praised for his work and then recently he came up with his second novel named 'SOAR' that made a special place of him within the hearts of reader. Today we are feeling glad to introduce you to the man who is keeping the faith of readers alive in the Indian Writing in English language, Abir Mukherjee. So, tell us something about yourself. I was born and brought up in Bardhaman, a small town of West Bengal. I have completed my school and college in Bardhaman. I am currently living in U.S.A and have completed more than 9 years as an IT Professional. I completed my B.E. in computer science and engineering in 2005 and started working in different software MNCs. 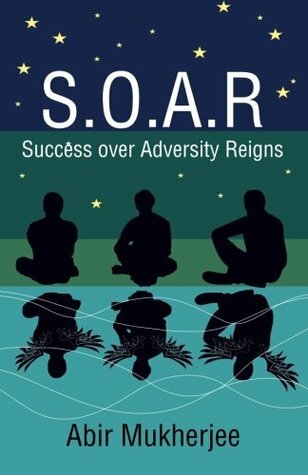 ‘S.O.A.R-Success Over Adversity Reigns’ is my second novel, published by Leadstart Publishing. Blackbuck Publication has published my first novel, ‘As Life Has No Undo’. I love to sketch and write in my spare time. The solo purpose of my writing is to entertain people. When did you first start writing/journey as a writer? How did you come up with your current story? One of my friends, Kartik had proposed a unique business idea that I had never heard before. I was completely spellbound by that out of box thought. We had planned to implement that along with one of our close friends, Dipanjan. However, we failed to turn that in reality. India is an orthodox country and always reluctant to accept any experimental concept. That unfulfilled desire might have driven me to write SOAR. Except that business plan, all the characters and incidents have described in SOAR are completely fictitious. SOAR is an attempt to give some justice to that Business plan. Any one such thing/ place / person which inspires you to write. All my readers, including my friends, colleagues, and relatives. However, if I have to pick one name out of them, my choice will be my wife, Shilpi. Tell us something about your debut novella ‘as life has no undo’. My past, made me to write my first book, 'As Life Has No Undo'. This book is very close to my heart, because not only it is my first book, but also it was more or less influenced by my life. I had to unfold some truth to my friends and other people around me during my college life. What could have been the best way to convey my heart to them than publishing a book? Any one such review [negative or positive] which you will never forget [for your both novels]? I like to take this opportunity to request all the reviewers that please do not be biased by your personal choice of genre while reviewing a book. Who is that one person who always pushed you to write and had been your pillar during your ups and downs? How often do you read and who is that one author who has inspired you to write? Who is your favorite author? On a serious note, I should start reading every day. However, my work schedule does not allow that. A huge treasure of literature blesses Bengalis. I had grown up reading few of them by Rabindranath Tagore, Sarat Chandra Chattopadhyay, Sharadindu Bandyopadhyay, Satyajit Ray, Shasthipada Chattopadhyay, Shirshendu Mukhopadhyay and Buddhadeb Guha. Sharadindu Bandyopadhyay is my favorite, because of his captivating style of storytelling and extremely intelligent plots; specially his immortal creation, Byomkesh Bakshi. I had read the complete series of Byomkesh Bakshi. What are some of the things that you used to write about and perhaps will write about in the future? Tell our readers something about SOAR? How this is different from other books? There are lot of books on different relationships - conjugal relationship, love, friendship, relationship between parents and kids etc. However, what make SOAR distinct from them are its entrepreneurial aspects of three protagonists and their struggle to pursue a nonexistent business in orthodox Indian market along different kind of relational flavors of our life. That effervescent, rare, and brilliant business idea is the soul of SOAR. In fact I will like to encourage my readers to implement this idea in reality as it is still nonexistent. 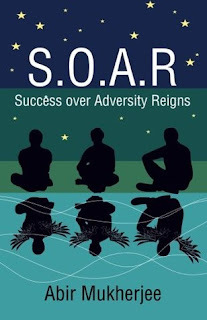 Thanks to Leadstart publication for giving me the opportunity to publish SOAR. What has your experience been in Indian publishing industry and what changes you think are necessary for the growth of authors/publishers. Comment. My experience is little bitter in Indian publishing industry. For a not so-called known author, it is quite difficult to publish his/her work in India. Traditional publishing is almost a myth now for them. This industry is not transparent enough. There is no proper process in place for an author to know, how many of his/her books have sold. In spite of writing a good book, authors are bound to bear all kind of expenses for promotion of their books until and unless an author is a self-made brand or celebrity. In this occasion, I would like to request all the publishers that please encourage the authors. Please help to sustain their art. If you have decided to publish a book after your editorial evaluation, provide your complete infrastructure and service to promote that book; irrespective of author’s background. It should not be scenario as ‘survival of the fittest’ for the authors. Let their books fight to win hearts. If you have to define yourself in 3 lines , what will it be? I am undiplomatic. I believe in hard work. I am success driven. What is the best piece of advice you would give to someone who wants to get into writing? I don't think, I am eligible enough to suggest anyone on writing. Actually, I am still learning this art. But I like to share few of my lesson learnt from my tiny experience on publishing industry. We shouldn't be afraid of rejections since we have nothing to lose. We should read lot of books, not be inspired by any style of writing or storyline; but to find our unique style of storytelling and plot. Posing our published book with some celebrity, flawlessly photoshoped foreword on our book's cover and other stunts on social networks, only can get us few likes but the readership. We should concentrate on the uniqueness of our plot and work hard to craft our imagination with proper wording. Any suggestion or any message from your end for your readers or well wishers. I expect nothing but your appreciation, positive criticism and blessing. When you held the first paperback copy of your novel , how did you feel? I felt like, I am holding my baby. Do you wish to continue writing your current genre or will you change it ever in future? Frankly speaking, I do not understand this genre concept. I can write of any genre if I feel the plot is unique and interesting. Whenever you face writer block, what usually you do? I have not faced yet. I have a lot in my mind yet to pour out. Any one place whose serene beauty persuades you to write?